Kansas City, MO — Earlier this month, the kind folks over at Free Hot Soup Kansas City hosted a picnic at their local park and invited hundreds of homeless people to partake in the food. Because they are not a business or a food organisation and are just friends cooking with friends, members of the group stated that they do not need a permit. 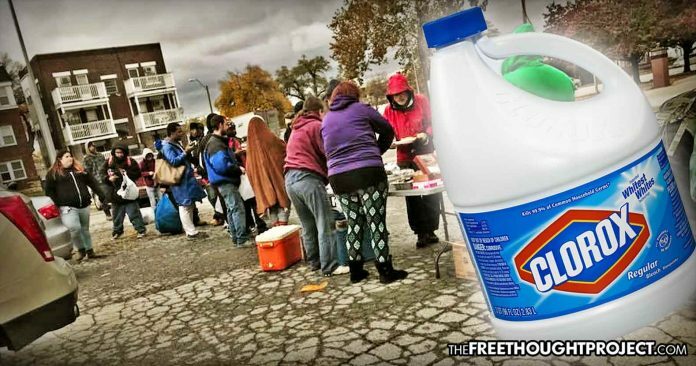 However, government officials disagreed and raided their event, seized the food, poured bleach all over it, and the homeless people expecting it went hungry that day.